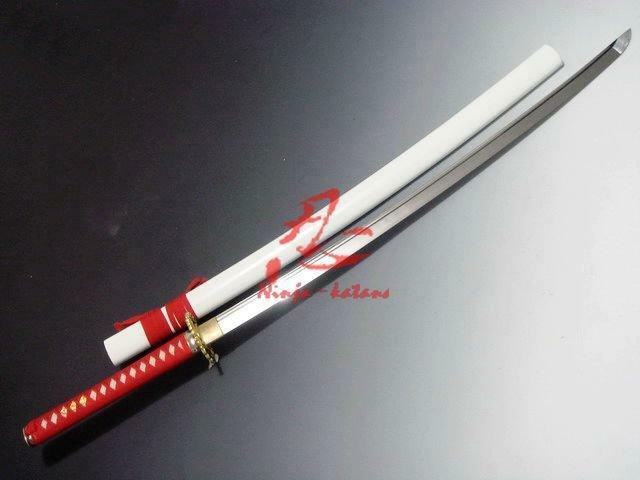 -handle length: 28cm /11inch. 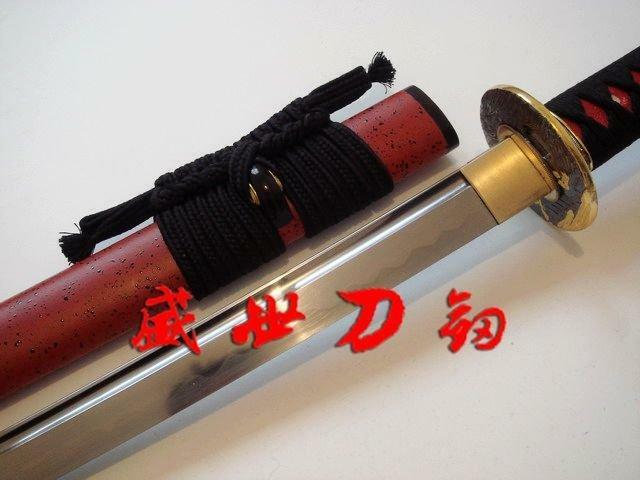 pure silk. 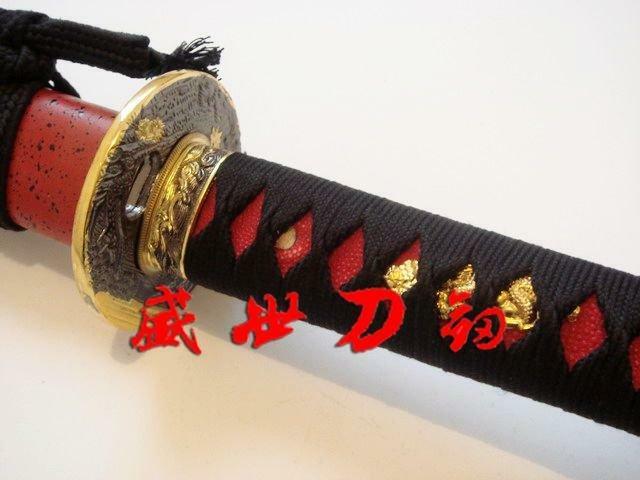 -2 Menuki: golden dragon. 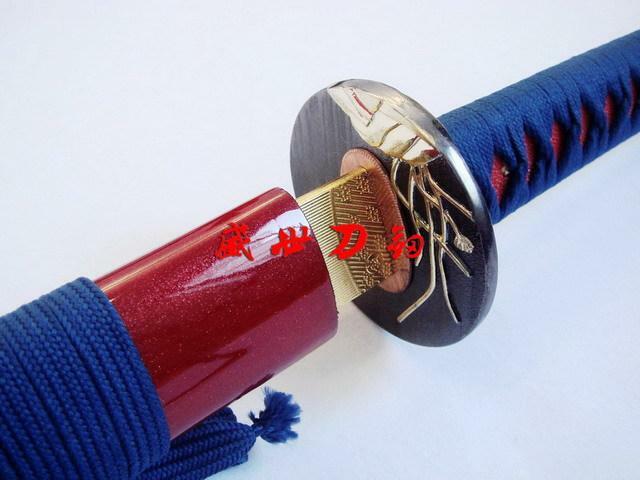 One each side, traditional mounting of Menuki. 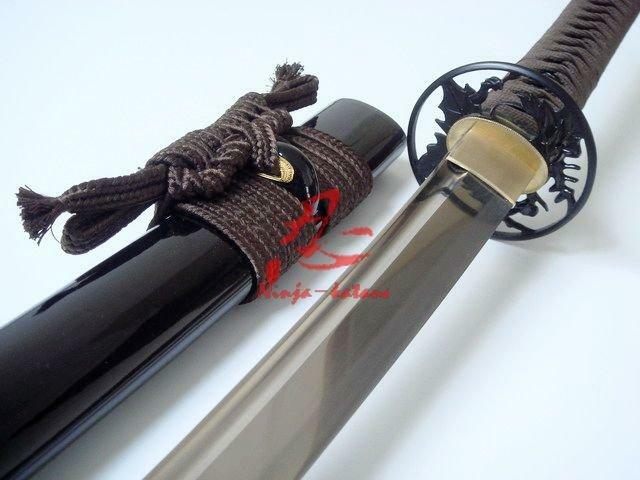 -Sageo: black color. 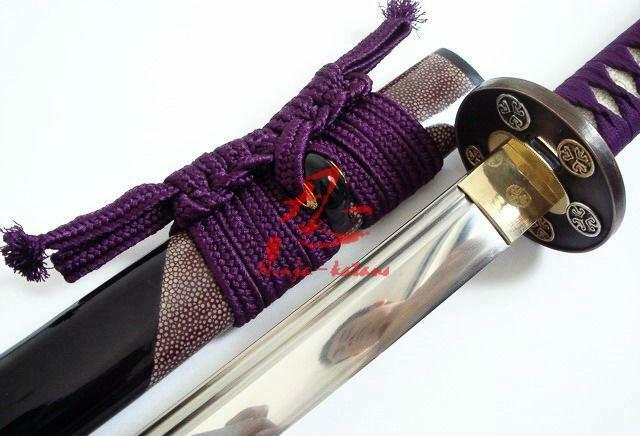 pure silk(cord used for trying the saya to the obi-knob on the saya). 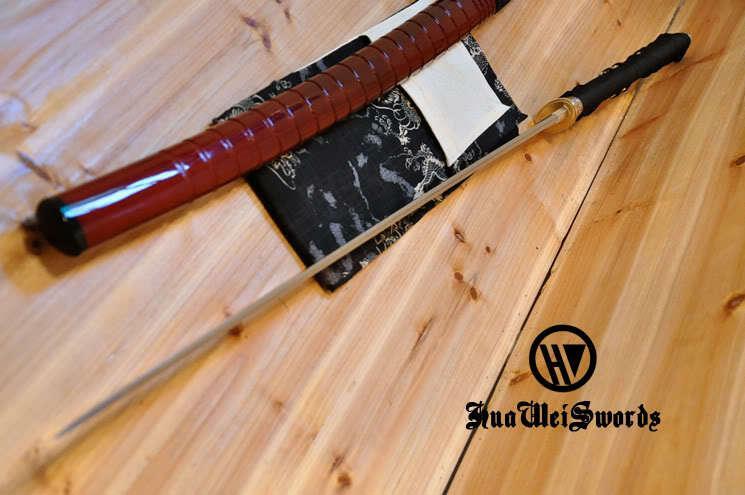 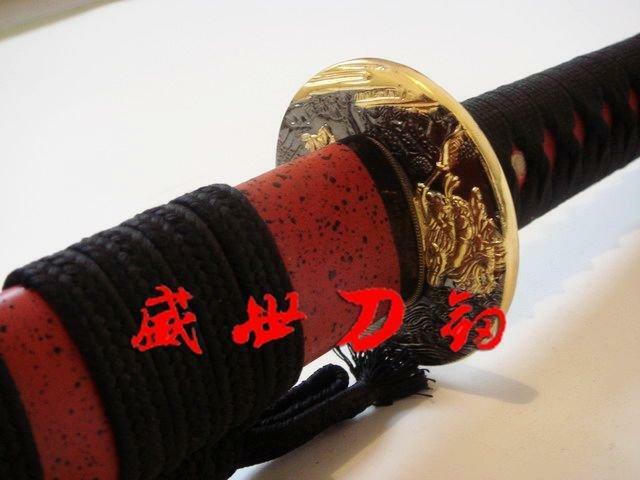 -Saya (Scabbard): red mattelacquered.curved according to the sori. 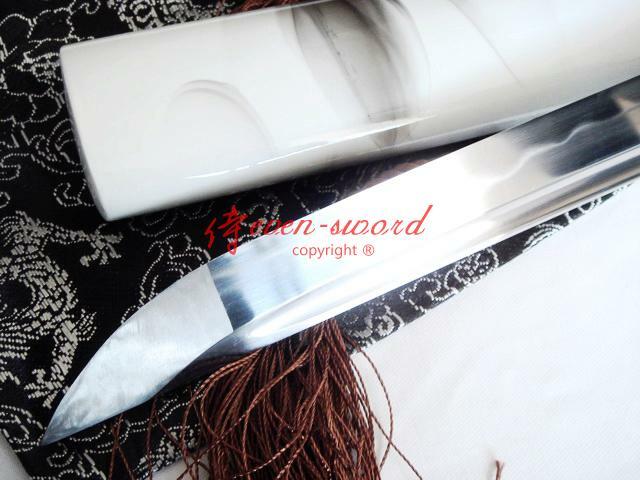 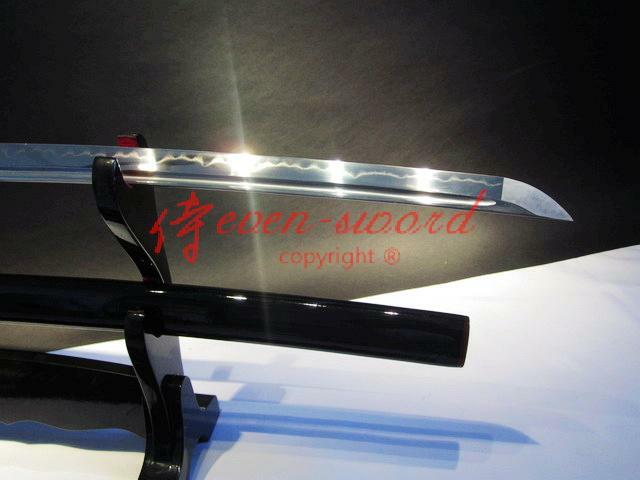 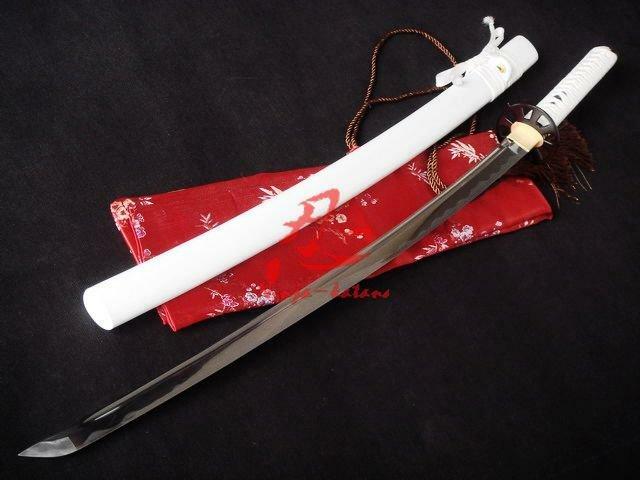 -blade: Unsharp bladewith Full Tang blade with blood groove shining like mirror and can reflect shadow of something. 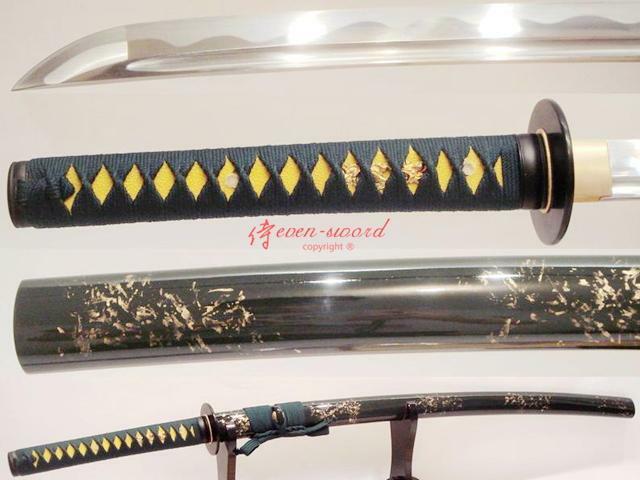 There is a wave line on the blade to be seen obviously. 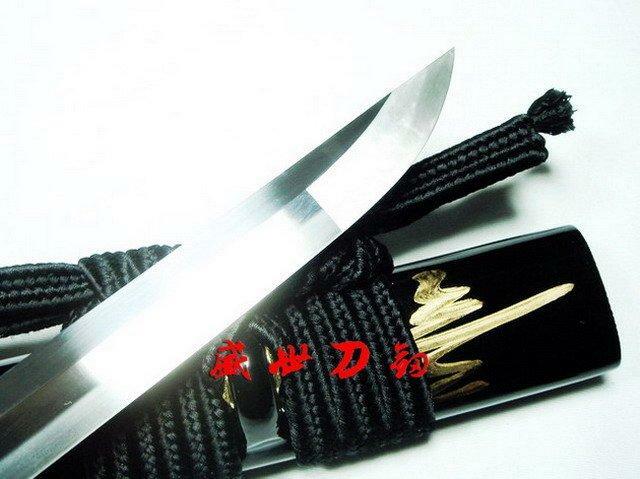 Brass habaki and seppa, mixed metal golden fuchi, kashira and tsuba shaped wave. 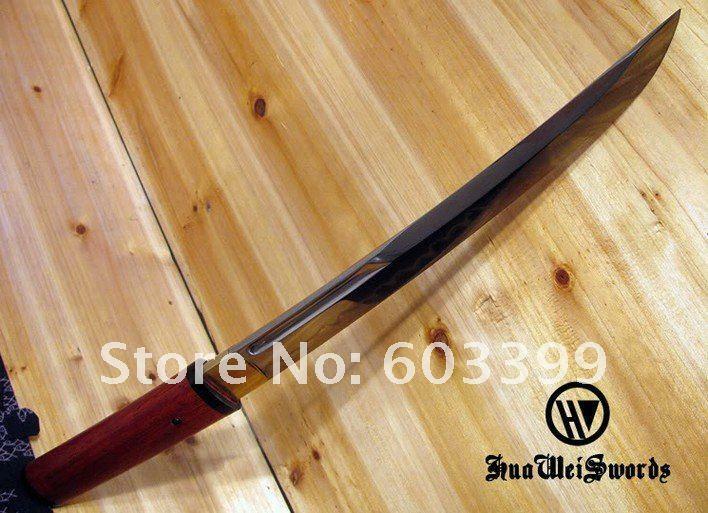 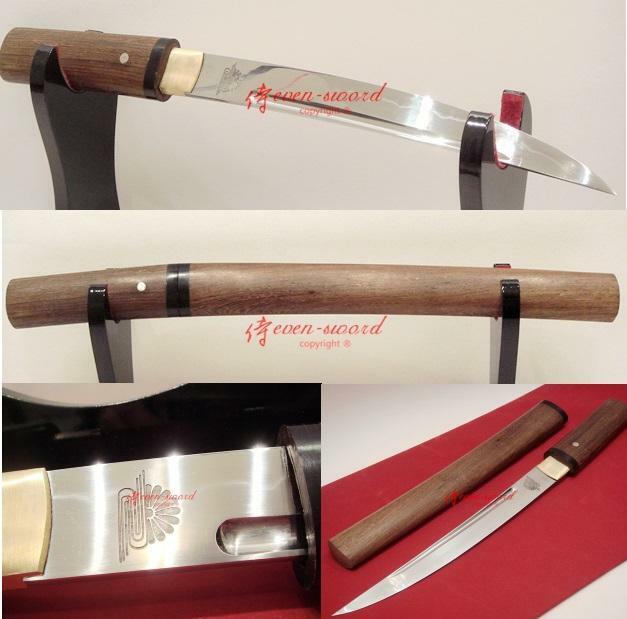 Black silk sageo wrapped on the real samegawa around tsuka and both sides of kurikata on saya, wooden saya lacquered in red and be no sheeny. 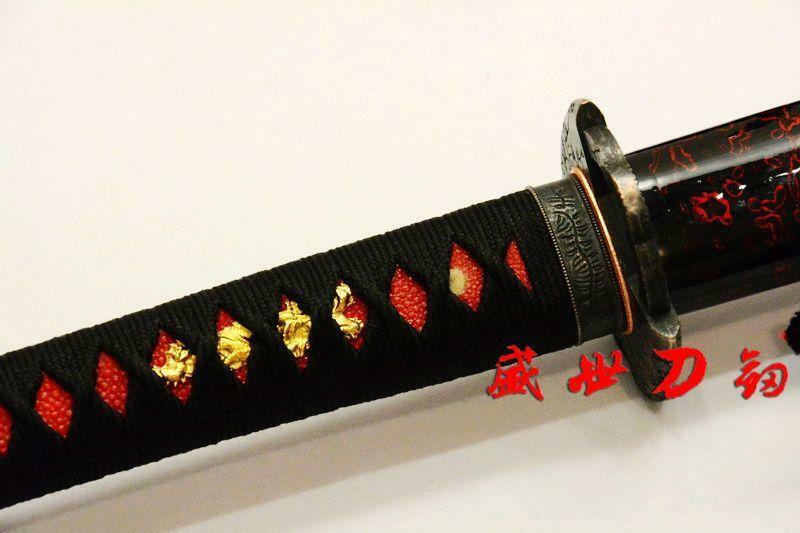 Also, you can clear see 2 Mekugi and 2 Menuki adhered dividually 2 sides of tsuka. 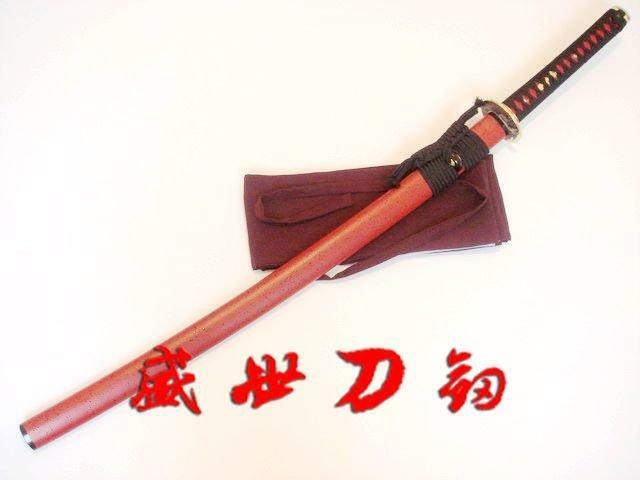 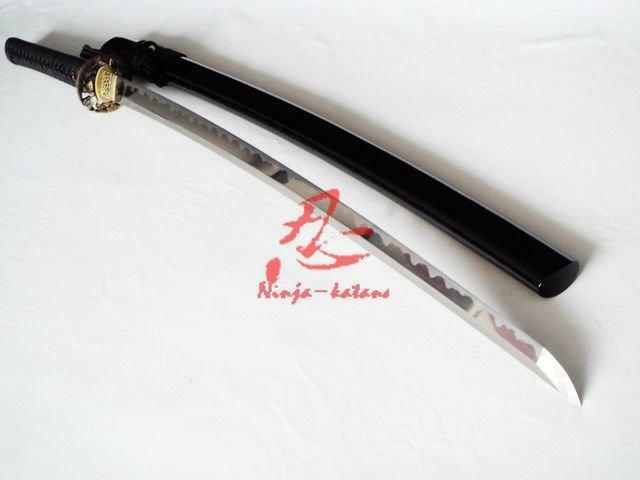 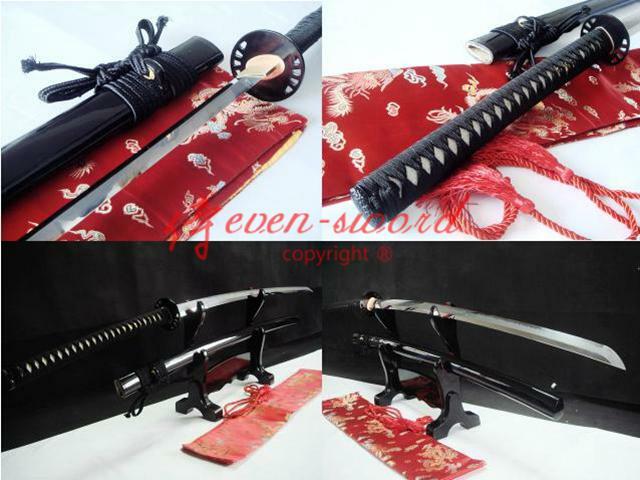 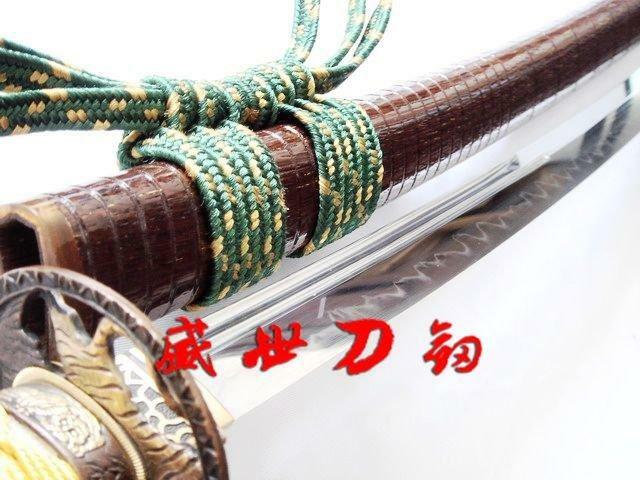 In addition, this katana can be taken apart fully anytime to maintenance. 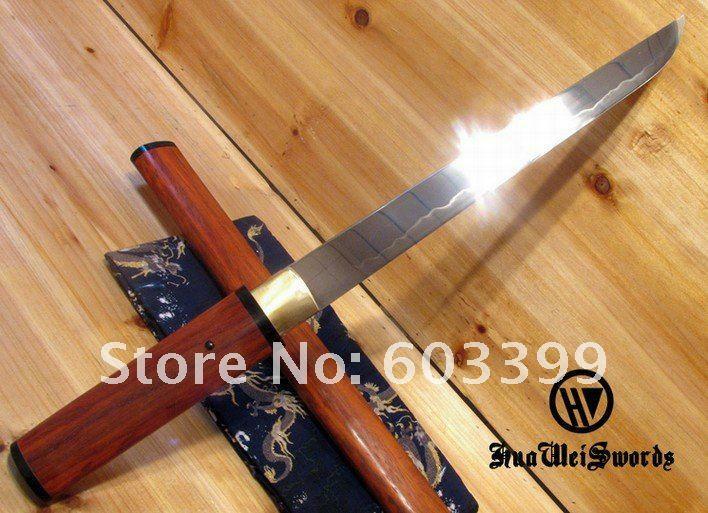 You can unassembled the blade from the handle by taking out two pins. 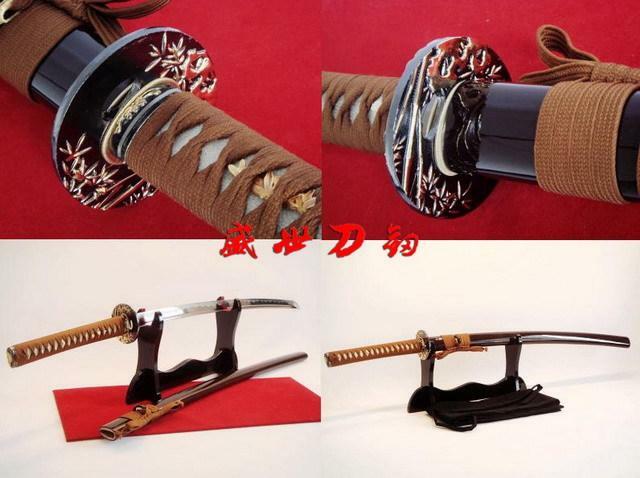 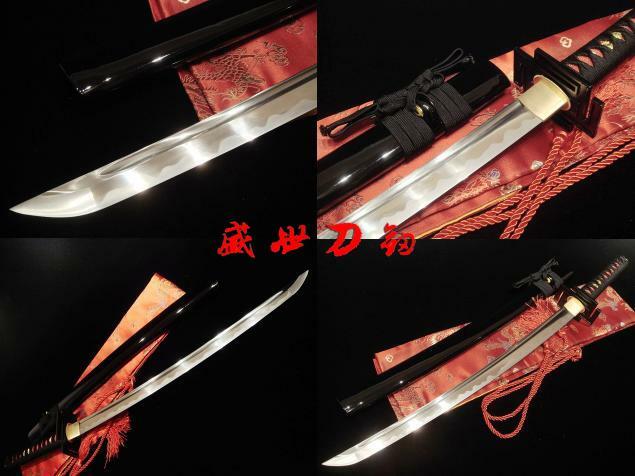 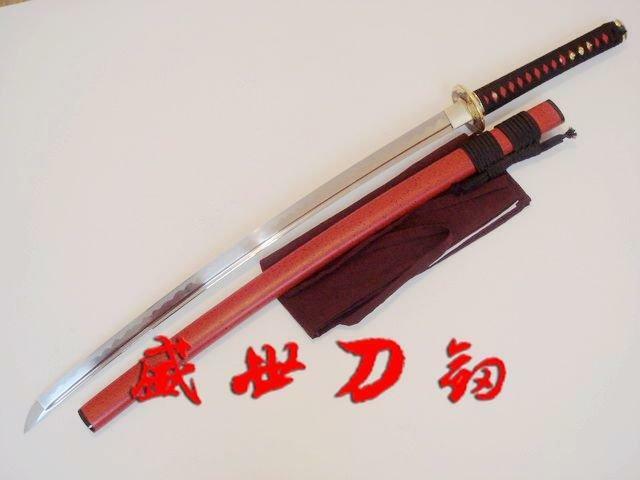 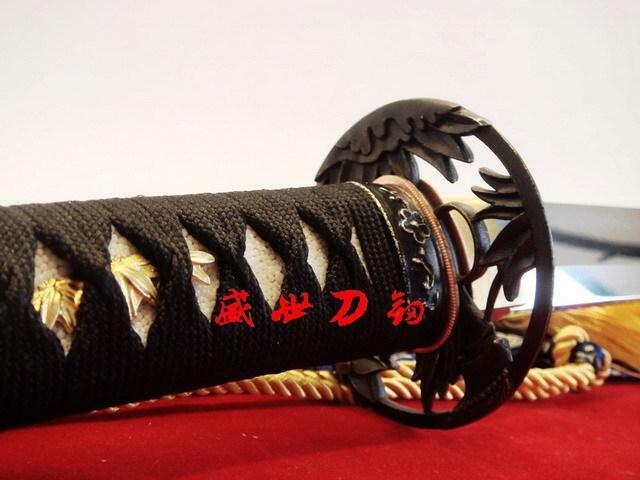 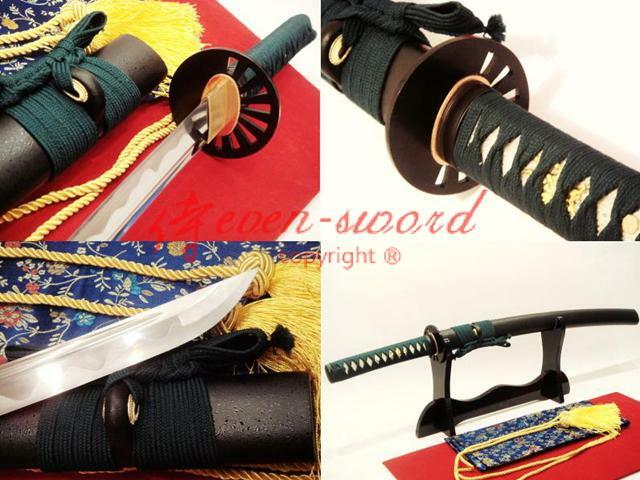 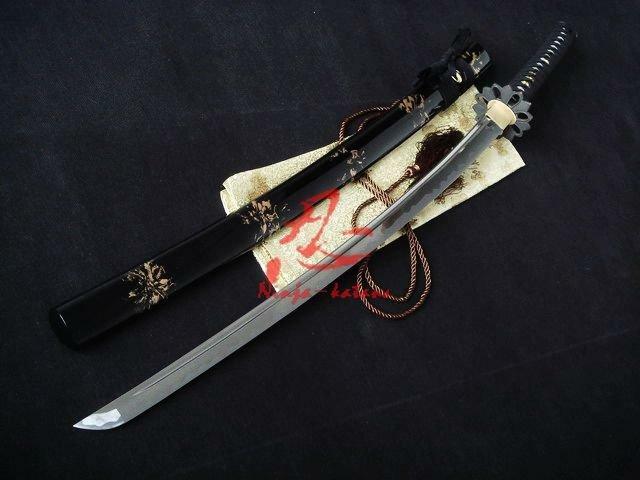 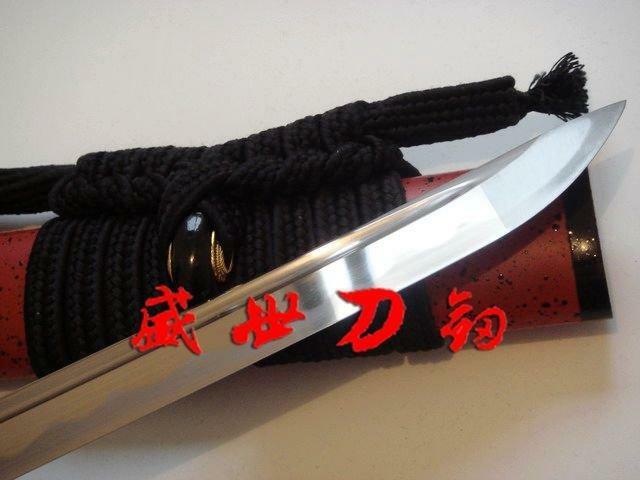 This is a sharpened supper battle ready Samurai sword very suit for iaido and kendo superior. 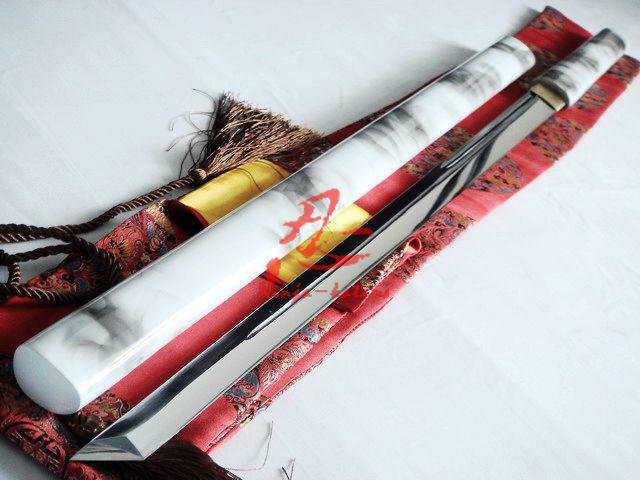 it's also a collection for you or present for your friends, don't miss such better chance. 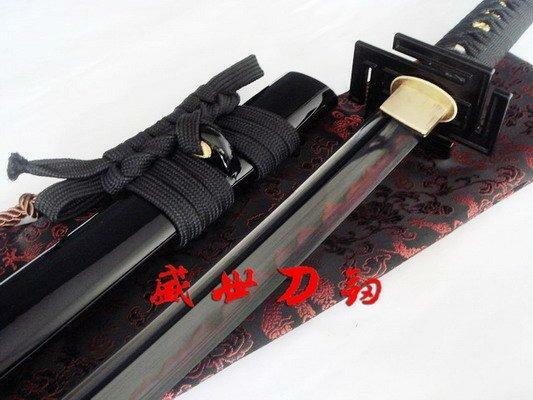 Accessories: silk bag.